Graduation Day has finally arrived with great excitement. Celebrate this glorious occasion with a Picture Frame holding your most treasured Graduation Picture. Personalize your Graduation Picture Frame with the graduation year and the graduates name. Choose white or black background and please choose between horizontal or vertical. Great product and fast production time. 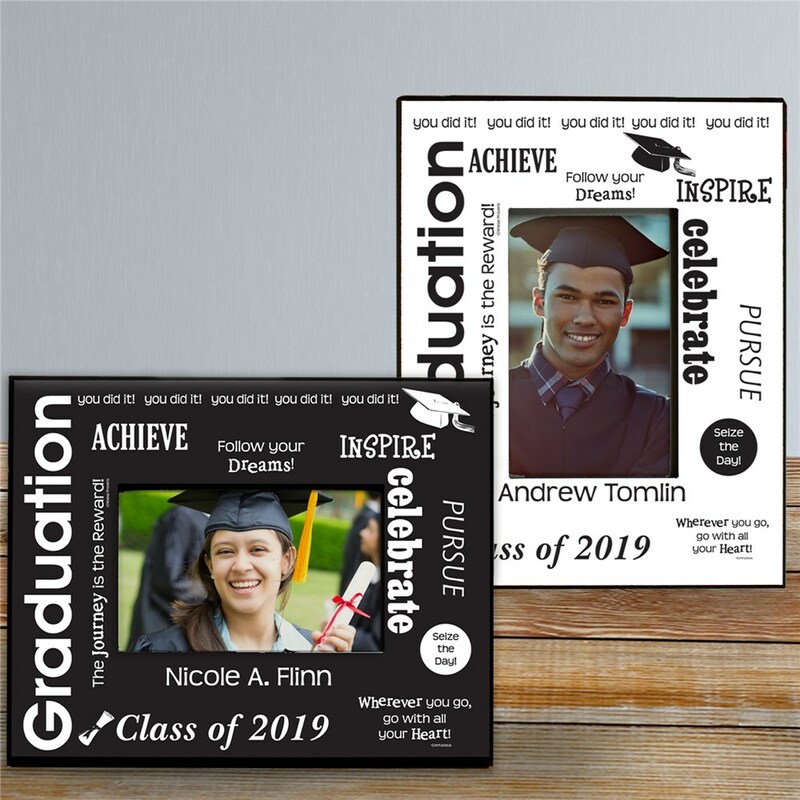 Additional Details Shop our entire collection of personalized graduation picture frames to find the one best suited for your grad!